With over 700 miles of waterway, the Susquehanna River is full of places to explore. 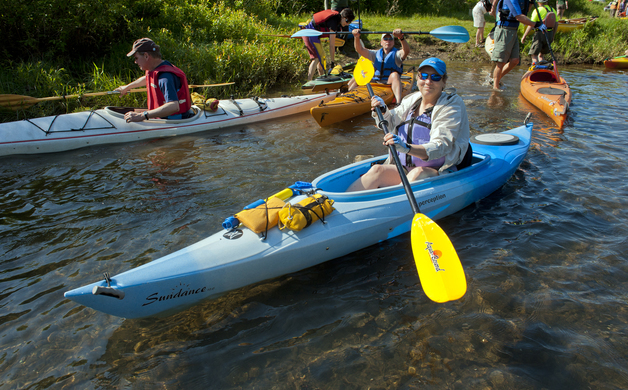 Grab your boat, a friend or family member and your camera and get outside on one of these wonderful paddling day-trips. Don’t have a boat of your own? No problem. We also share the names of outfitters located in that area. 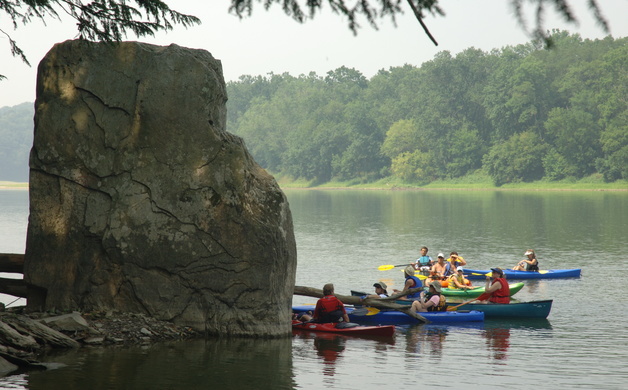 Paddlers along this section of river will enjoy the calm waters of the Susquehanna as they meander past stepping stones and boulders. In places, the metal rings where log rafts would tie up for the night are still found, secured in boulders along the river. Occasional riffles, extended length and the remote setting of this section garner a moderate difficulty level. However, the beauty of the surrounding wilderness makes the challenges well worth it. Bring along your binoculars for wildlife sightings, including bald eagles, bears and great blue herons. River Mile 163: Shawville Grocery Private Access. Located at the intersection of State Routes 970 and 879 in Shawville. Access on east side of Route 970 Bridge. River Mile 149: PFBC Deer Creek Bridge Access. Traveling from Frenchville, take State Route 879 West towards Shawville. Turn left onto State Route 1009 (Deer Creek Road). After crossing the Deer Creek Bridge, Access is on the right. The Susquehanna River hosts many historic secrets and this day-trip showcases two important ones along its shores. The length and occasional ripples in the river elicit a moderate difficulty level, but the abundance of wildlife and trips through history make this paddle well worth it. Begin at the PFBC Wysox Access, just outside of Towanda. Just after the launch, travel river right past the island. Two small wave trains greet you prior to the first bend. Once around the bend, at mile 265.0, is State Game Lands 237 (no camping) on the island; paddle river right for the best wildlife viewing. Keep your eyes open as you approach mile 262 for the Standing Stone on river right. Just down river of the Standing Stone are the Marie Antoinette Overlook and the French Azilum Historic Site. This historic site was once home to a group of French exiles in the autumn of 1793. It is a good spot to stop for lunch. The river will turn towards river left and then back towards river right. The PFBC Terrytown Access is midway through the river right bend. River Mile 267.5: Wysox Township Park Municipal Access. Public access paved boat ramp with a 20-car parking lot, restrooms, picnic tables, pavilion, lodging, food and phone within .25 mile. River Mile 254: PFBC Terrytown Access. Public access owned by PA Fish and Boat Commission. Gravel boat ramp with a 20-car parking lot and seasonal restrooms. Hazards: Two rock ledges, one above and one below Rockville Bridge. To avoid, run second ledge on river left. Fun standing wave can be run just to the right of the largest rock near the east side. This 6-mile run along the Middle Susquehanna may be lacking in river miles, but it makes up for it with a variety of sites and landmarks. 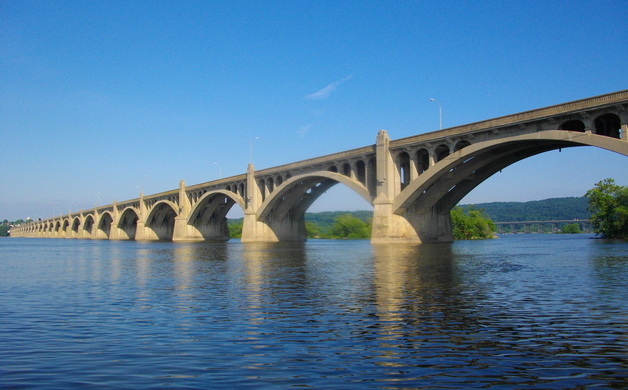 Along the way, paddlers will go under the famous Rockville Bridge; at 3,280 feet long, this bridge is the longest stone-arch bridge in the world. 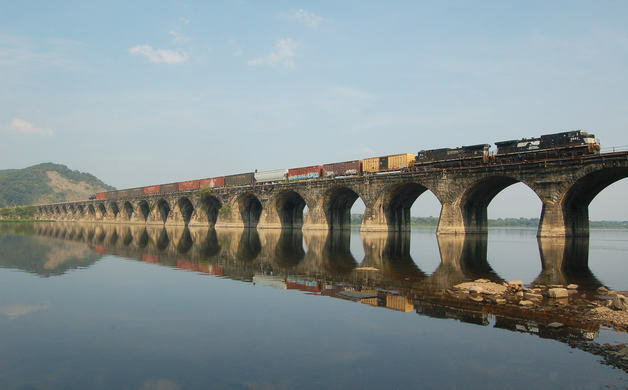 More than 30 trains cross over its 48 arches every day. Just downstream, the George N. Wade Bridge crosses the Susquehanna and gives way to McCormick Island; the southern tip is a great stop for an afternoon picnic. Just offshore is Wade Island, Pennsylvania's largest multi-species rookery (nesting island). Bring your binoculars to see the hundreds of nests that dot its shores. However, please enjoy these sites from the comfort of your boat as trespassing on the island is illegal. If camping is your intention, there are several sites along river right islands, downstream of McCormick. After the last island, stay river right to exit at West Fairview Boat Launch. River Mile 77: Maryville Boat Launch, 3 North Main Street, Marysville. River Mile 72: West Fairview Boat Launch, 1 Front St., East Pennsboro Township. Enjoy a leisurely paddle along the beautiful waters of Lake Clarke. Located between Lancaster and York counties, Lake Clarke offers a host of recreational opportunities and historic sites to visit along its shores. The route begins at the Columbia River Park Access, Columbia. This access hosts a variety of attractions including the Columbia Wrightsville Bridge, the Northwest Lancaster County River Trail trial-head and the Columbia Crossing River Trail Center. Along the way, keep an eye out for Klines Run Park and the stone building of the Zimmerman Center for Heritage on river right. Just across the river from the Zimmerman Center is the Conejohela Flats. This series of mudflats is renowned as a viewing location for migratory shorebirds, waterfowl and other birds including bald eagles and osprey. Another zigzag back to the western shore brings you to the takeout at the Lock 2 boat ramp. Columbia Crossing River Trail Center: The Columbia Crossing River Trails Center is managed by Susquehanna Heritage for the Borough of Columbia as a gateway visitor education center and trail-head for land and water trails in the Susquehanna Riverlands. Visitors will find maps, guides and brochures related to river recreation, trails and nearby historic sites and family attractions, along with exhibits and public rest rooms. Zimmerman Center: The Zimmerman center is the headquarters of Susquehanna Heritage and serves as Pennsylvania’s Official Visitor Contact and Passport Station for the Capt. John Smith Chesapeake National Historic Trail. Whether you visit the center by land or sea (there is a boat dock and launch at the center), the Zimmerman Center hosts a variety of historic exhibits including the Visions of the Susquehanna River Art Collection; a variety of Susquehannock Indian artifacts; walking tours; and presentations of the river's history. Conejohela Flats: A renowned series of mudflats that serve as vital habitat for a variety of migrating shorebirds, waterfowl and other birds including bald eagles and ospreys. Designated an Important Bird Area by the National Audubon Society, the birding coverage of this site is amazing, especially from July through October during fall shorebird migration. River mile 43: Columbia River Park Access, 41 Walnut St., Columbia. River mile 38: Lock 2 boat Ramp, 2070 Long Level Rd., Wrightsville. Corey BeVier is outreach and volunteer coordinator at Susquehanna Greenway Partnership.